Since it was formed on the Wupper River in 1769, PUMA has set the standard that established Solingen, Germany as the world¡¦s premier knife manufacturing center. 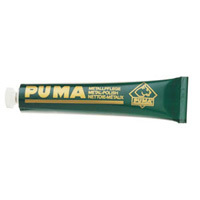 PUMA is, in fact, the 8th oldest trademark in Germany. PUMA has been distributed in the United States since 1957 and has established a strong reputation for high-quality hunting, sporting and gentleman's knives. Traditional style fixed blade hunting knife. This new three-knife set from Puma features German steel, bone scales, and leather sheaths. 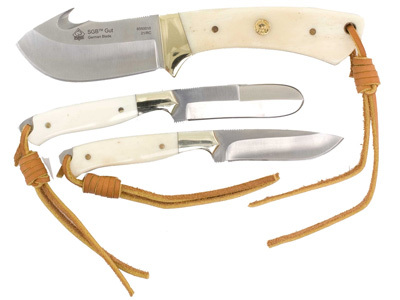 The set includes a skinning knife with a gut hook, caping knife, and a fleshing knife. 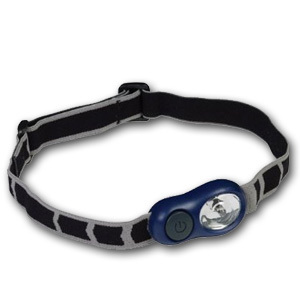 The set is designed to handle all of the game care duties required on a big-game hunt.